Oracle’s StorageTek SL150 modular tape library is the first scalable tape library designed for growing businesses. Built from Oracle software and StorageTek library technology, it delivers an industry-leading combination of ease of use and scalability. Ideal for backup and archival applications, the StorageTek SL150 modular tape library saves both time and money, setting the new standard for entry tape automation. The StorageTek SL150 emphasizes simplicity and reduces costs through exceptional scalability, common storage management tools and do-it-yourself installation and upgrades. The easy-to-use remote browser GUI, built from Oracle software, helps streamline library management and allows you to perform library operations, manage library settings, and proactively monitor the library’s health. With the StorageTek SL150, simplicity begins with the library installation and continues throughout the life of the product, even as you expand for data growth. The library can be initialized in a few steps via the local touchscreen operator panel, and upgrades are easy because they require no tools, complicated cabling, or technical support. For intelligent monitoring of StorageTek tape libraries, StorageTek Tape Analytics software provides tape storage customers with access to leading-edge tape monitoring software that goes far beyond exposing a red, yellow, or green indicator. Rather, StorageTek Tape Analytics software provides insights into hundreds of drive, media, and library health attributes that empower tape storage administrators to make proactive decisions about their tape environments prior to device failures. A proactive approach to managing the health of a tape environment improves the performance and reliability of existing tape investments and helps executives make informed decisions about future expenditures. The StorageTek SL150 modular tape library scales up to 15x, from 30 to 450 slots, without consuming significant time and resources. In addition, it is the only library in the world that autodiscovers new modules via USB. In the entry to midrange market segment, the StorageTek SL150 modular tape library offers higher density and lower-cost scaling than comparable products. Higher density saves rack space and enables you to store more data in the library. The StorageTek SL150 modular tape library’s base module provides up to 360 TB (with StorageTek LTO8 half-height tape drives) and each expansion module adds an additional 360 TB of capacity as your storage needs grow. With two additional tape drives per expansion module, the StorageTek SL150 also allows for increased performance as storage needs grow. The StorageTek SL150 supports a heterogeneous drive environment, so you can seamlessly use the drive types and generations that make sense for your access and storage needs – add new LTO generations or drive types as you scale your library. 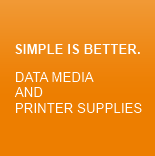 Choose the drive supplier, generation and interface to support your growing business. 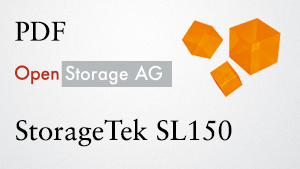 The StorageTek SL150 currently supports LTO5, LTO6, LTO7 or LTO8 tape drives. The market-leading scalability of the StorageTek SL150 modular tape library offers an important cost-saving advantage. Competitive systems require you to transition among three separate and distinct products in order to grow from an entry to a midrange library. Oracle launched the first library that can address the full breadth of scale from 30 to 450 slots with a single product. As a result, the StorageTek SL150 negates the need to rip and replace smaller, individual products as your storage needs grow. In addition, single-product scalability saves media, drives, servicing, power, cooling, and other management costs. Scalability also allows you to do more with less by consolidating multiple libraries into a single product that is far less expensive than replacing libraries over time. For those who want to consolidate multiple libraries or manage distinct sections of the library, the StorageTek SL150 supports one to eight partitions. Native physical partitioning requires no extra hardware or software and provides great flexibility for users. For more than 40 years, customers have trusted StorageTek reliability and quality. Oracle’s StorageTek SL150 leverages technology and design from the award-winning StorageTek SL500 modular library system, and it provides StorageTek reliability at an entry-level price point. Furthermore, by working with an end-to-end solution provider like Oracle, you can reduce management and service costs. 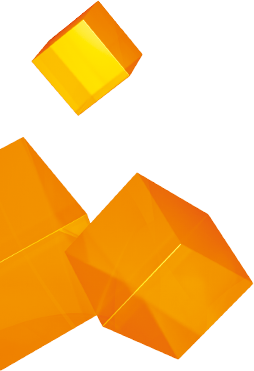 Oracle Premier Support provides the complete system support you need to proactively manage your Oracle storage systems. With swift resolution and rapid-response hardware service when problems do arise, you can keep your business information available 24/7. Oracle Advanced Customer Support provides mission-critical support from a focused support team, proactive guidance to tailor storage systems for optimal performance and increased competitiveness, and preventative monitoring to help you achieve high availability and optimized system performance.